Dumped Bauer for Didi. Sad. What is Kevin Towers ?! There’s nothing truly special about Cliff Pennington. He’s not a great hitter. He’s not an elite defender. He’s not a particularly valuable player at all, really. But boy does he look wholesome in this one particular photo. And at the end of the day, isn’t it all about the kids? Archie Bradley’s Accidental Cutter ?! 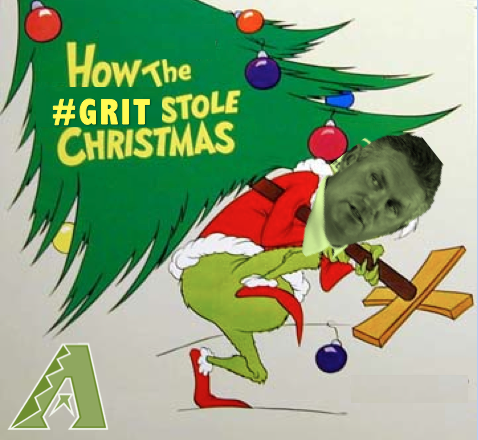 To compliment his overload of #grit, Kevin Towers trades Trevor Cahill for #grout to repair his bathtub. Arizona plays in the Civil Rights game and temporarily changes its name to the Diamondblacks. Paul Goldschmidt converts to Judaism after getting fed up answering to when asked if he’s Jewish. The Diamondbacks win baseball games, but not enough baseball games to be permitted to play baseball games in October.